How To Adjust Timing 2 Teeth? How do I Check the timing on MK V6 Triton? In order to Check the timing on MK V6 Triton do I just rotate the cam wheel clockwise until the timing marks line up? Re: How do I Check the timing on MK V6 Triton? You might need to be a bit more specific there mate, ignition timing or valve timing? I'm guessing by the vagueness of the post you mean cam timing? Is the timing belt on or off it? If it's on see below diagram for valve timing marks. Turn over by hand from the crank pulley bolt NOT the cam pulley in a clockwise direction until the above marks line up. I'm doing the timing belt on my MK V6 Petrol Triton and had to refit the old belt for a minute to try and help loosen the camwheel bolts. When I put the old belt back on I noticed that the drivers side camwheel had moved somehow about two teeth anti-clockwise. The other cam is still TDC, and I'm assuming the crankshaft is still, but the harmonic balancer is off along with the timing guide marks. 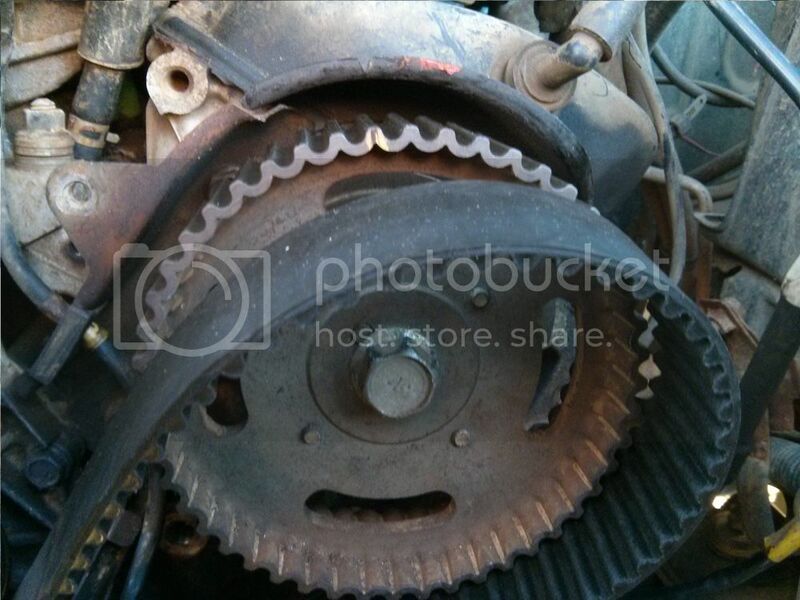 Do I just take of the timing belt again and turn the drivers side camwheel on it's clockwise until it is TDC? Re: How To Adjust Timing 2 Teeth? 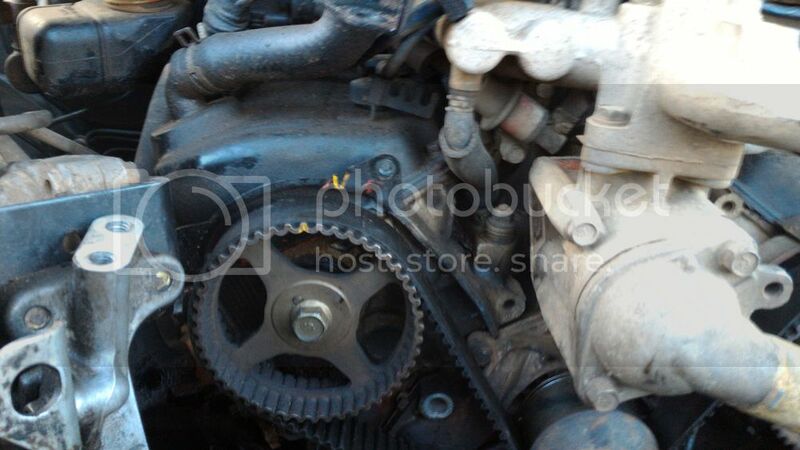 Hi all, I decided to try and attempt doing the timing belt on my 3.0L V6 Triton and I'm a bit stuck with the drivers side camwheel going out of alignment. Everything was TDC when I took the belt off, but the drivers side camwheel went off two teeth ant-clockwise somehow when I rentensioned the old belt to try and undo the camshaft bolts. I released the tension on the belt and the drivers side camwheel turned ant-clockwise to about 10o'clock. What should I do now? Use a spanner to turn the drivers side camwheel on it's own without the belt on to TDC? Or do I try to turn it with the belt on and tensioned? Basically how do I line it up again? 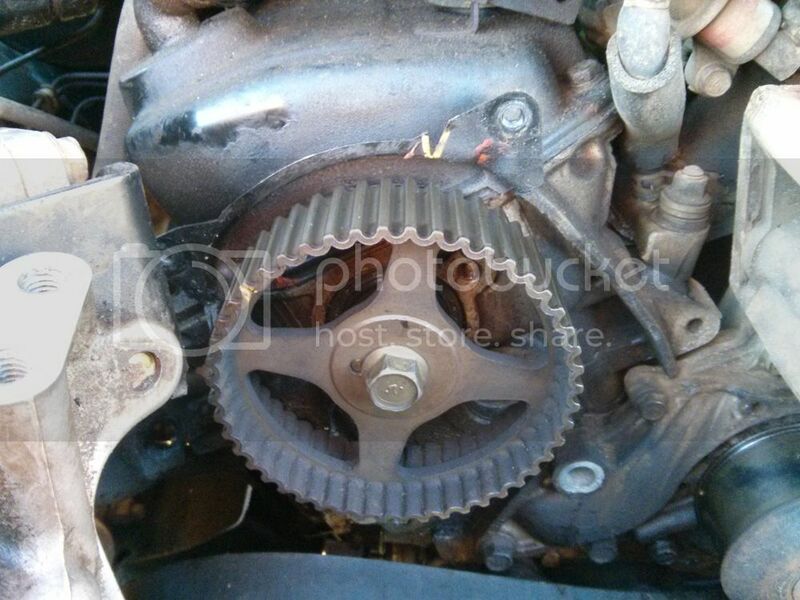 Crankshaft sprocket - nothing really going on here as there's no harmonic balancer or timing cover with mark to see. Hopefully someone can help me... otherwise I'll trailer it to the mechanics I guess. Hey, thanks for the reply Neat60. I forgot I did the first thread. All the info is now in this thread. you can turn the camwheels about 20 degrees or so each way without damage if you do it by hand or gently with a tool. If you feel it come up against resistance don't push it. 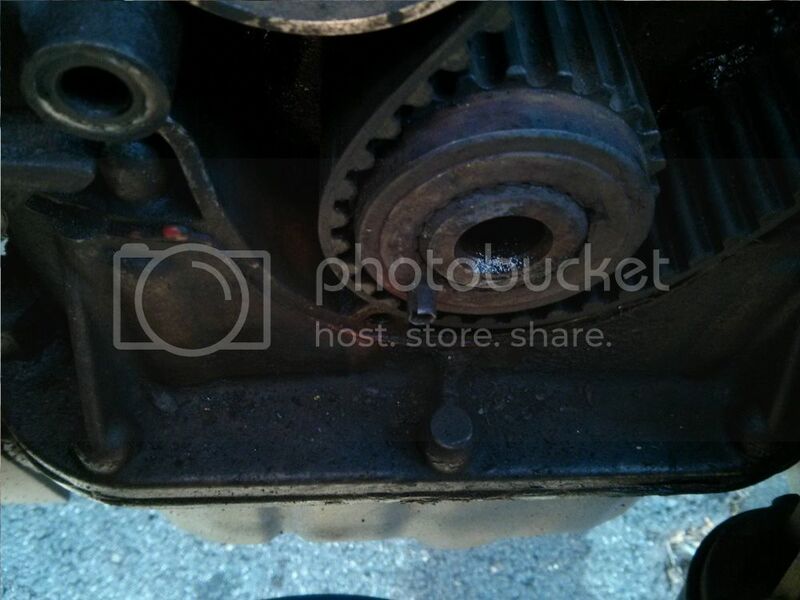 If the other 2 sprockets are aligned up, you can turn the errant one to line up using the bolt in the middle. You will find that the bolt is probably tight enough to turn the cam no problems. Thanks. I'll try pushing the drivers side camwheel bolt clockwise tomorrow on it's own until it's lined up or I feel resistance. If it is still out of line, what is the procedure to get the timing right again? were you able to turn the offending cam at all? did it try to spring back? I'm trying to repair the woodruff key way on my V6 Petrol Triton and had to rotate the crankshaft to face upwards in order to do this. Originally everything was set at TDC. When I rotated the crankshaft to face upwards the timing marks on the cam wheels ended up at about 3 o'clock. I stupidly forgot to mark the position or clamp the cam wheels in place and when I took the belt off to get to the key way, the passenger side cam wheel sprung back to around TDC. What can I do? Slowly try and turn the cam wheel back to around 3 o'clock with a socket? Or is it too dangerous?